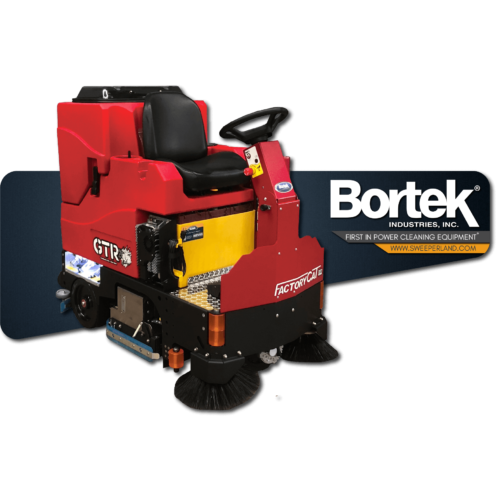 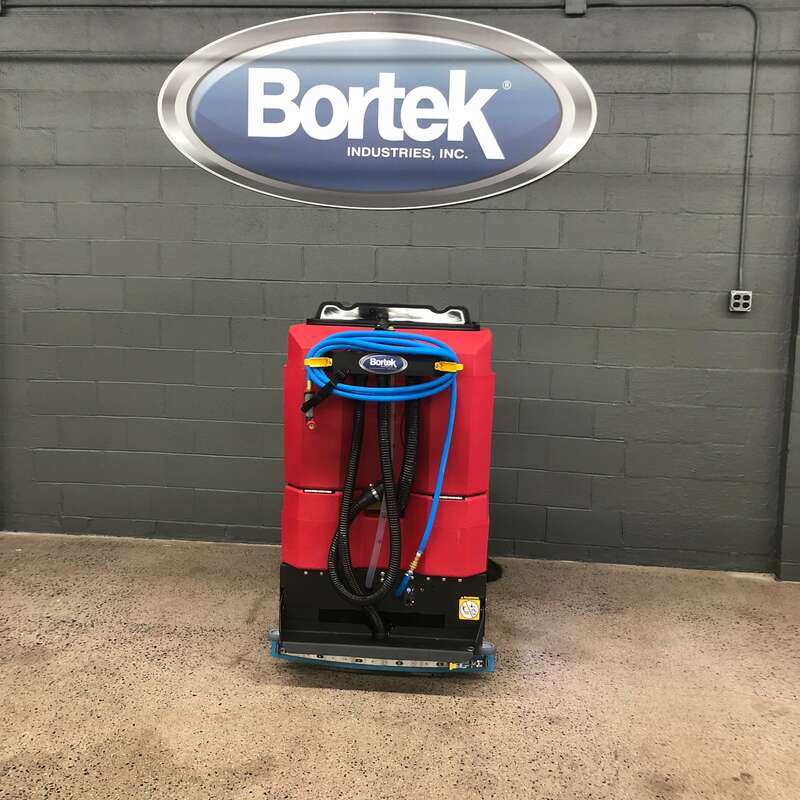 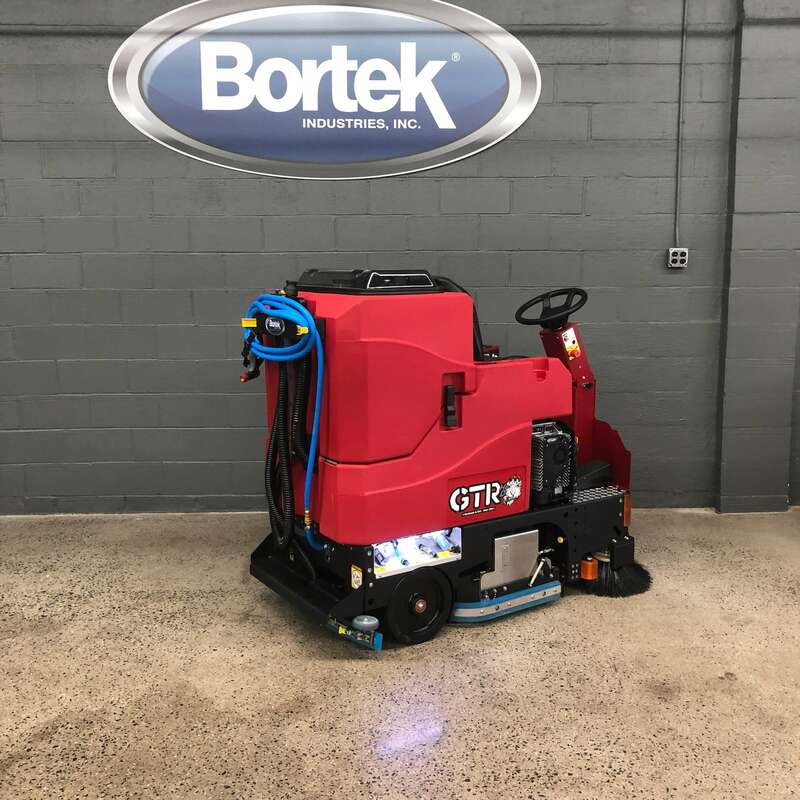 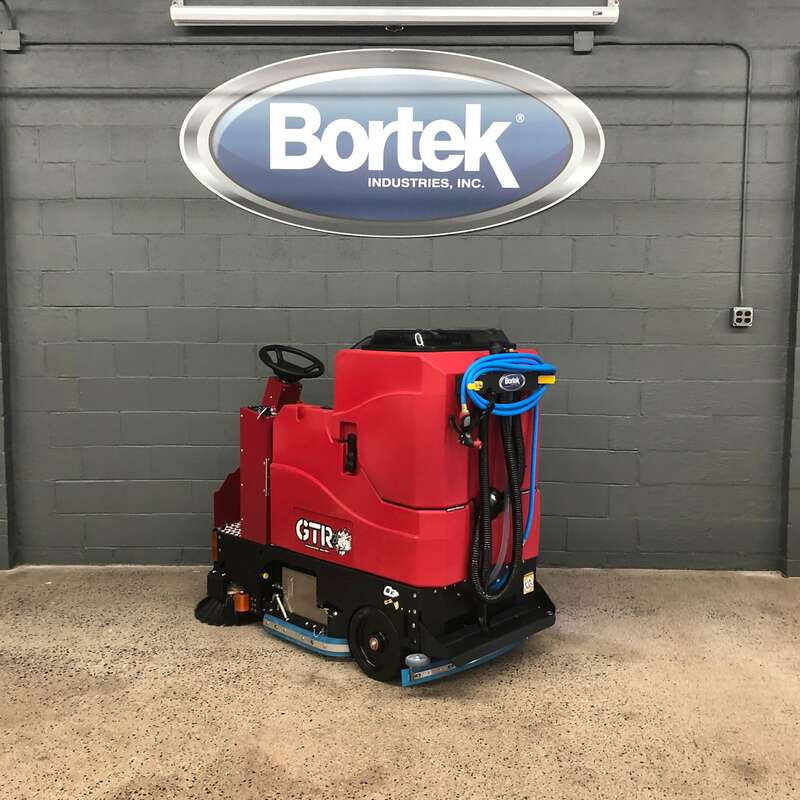 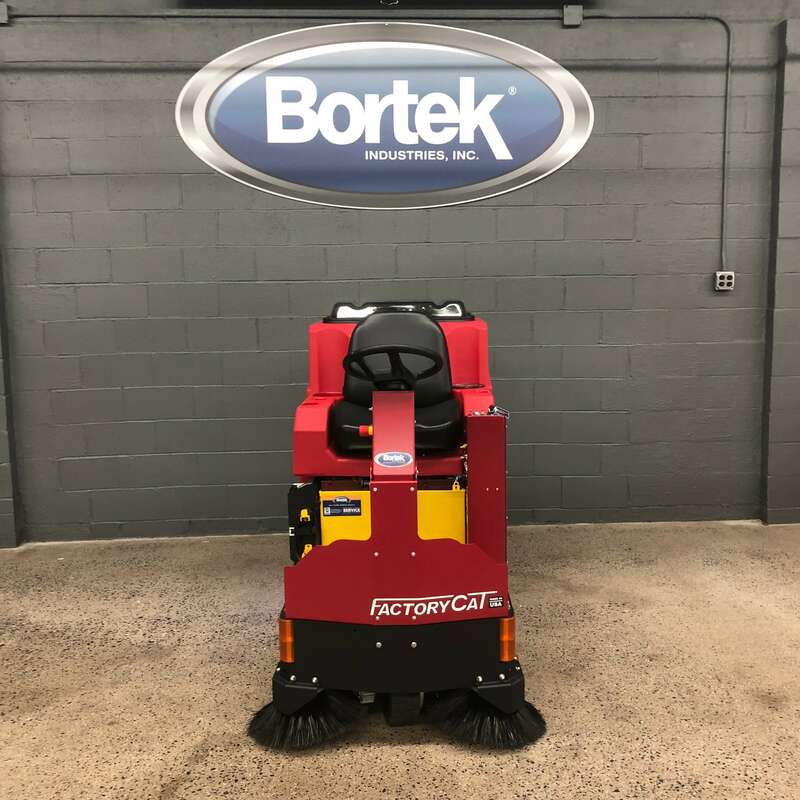 Factory Cat GTR Industrial Floor Scrubber- Bortek Industries, Inc.
FactoryCat’s GTR Rider Floor Scrubber is known for its simple design and durable construction, offering unmatched value for the customer. 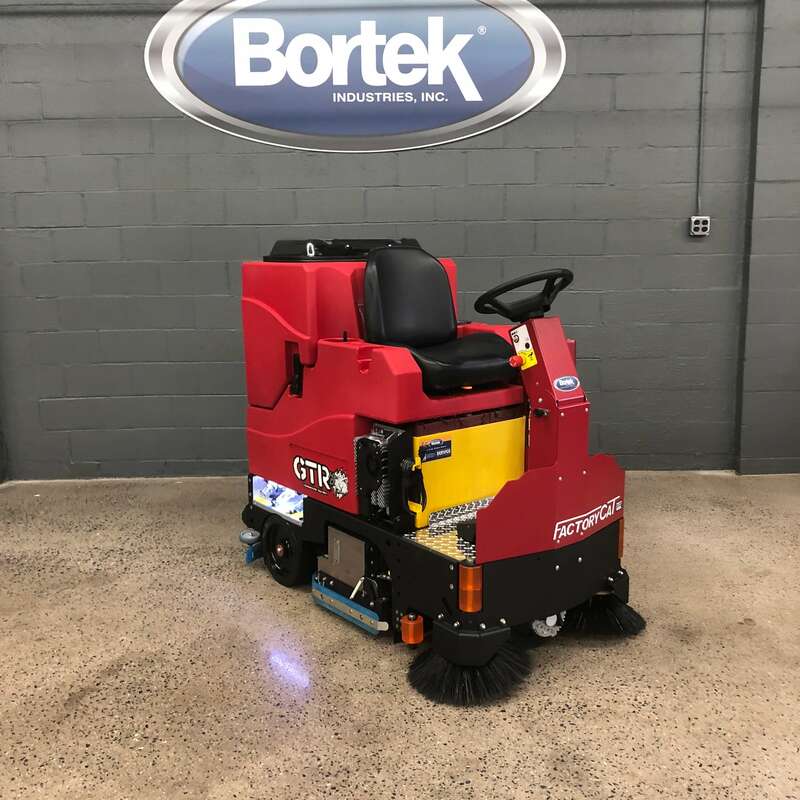 The GTR Floor Scrubber Dryer comes equipped with a powerful front-wheel drive for climbing ramps and max operator ease. 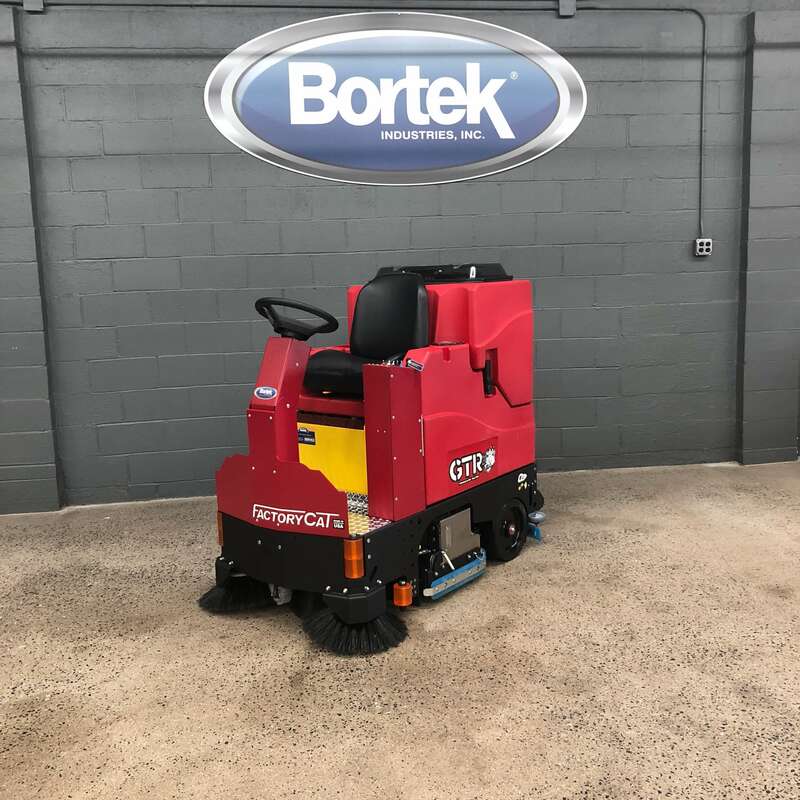 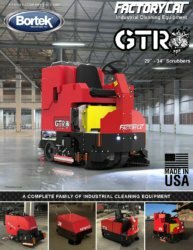 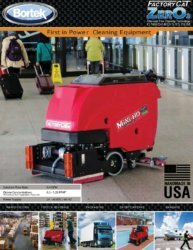 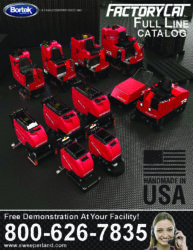 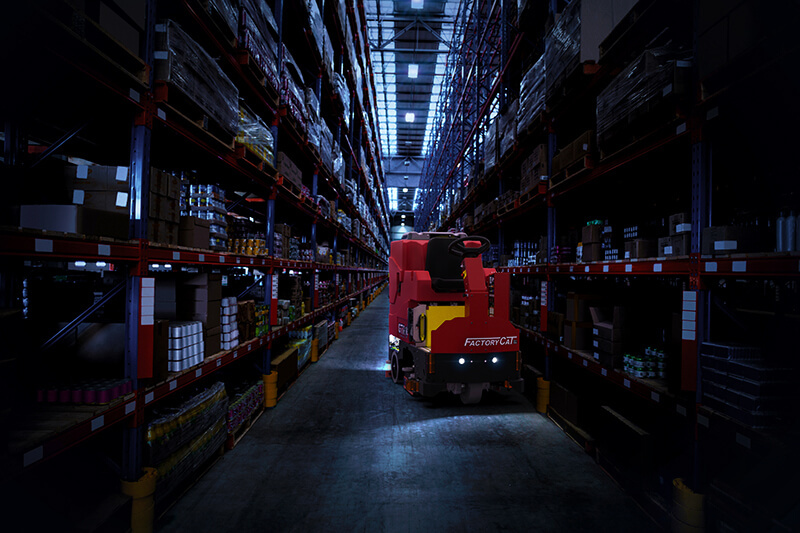 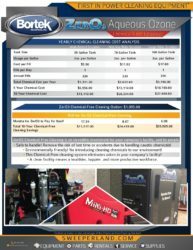 While keeping with the constant durability that FactoryCat machines have to offer, your operators will find the GTR Floor Scrubber Dryer easy to maneuver and simple to service. 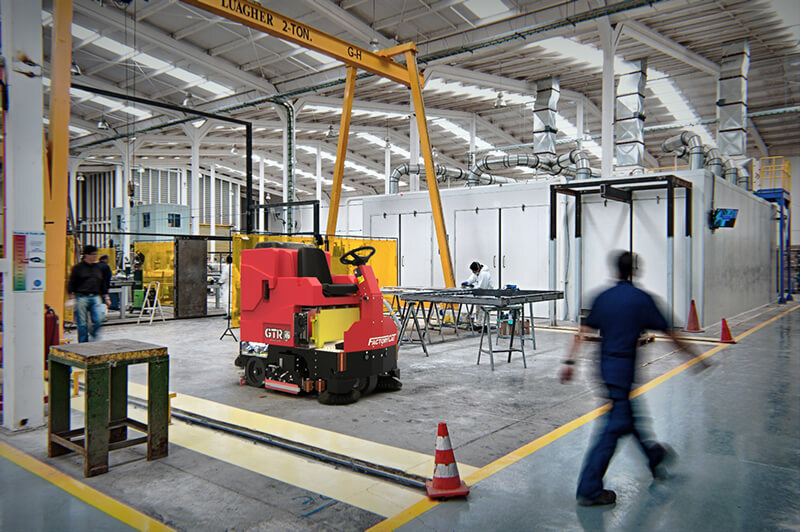 The deck is protected by the steel frame and large polyurethane rollers to keep the unit from marking walls. 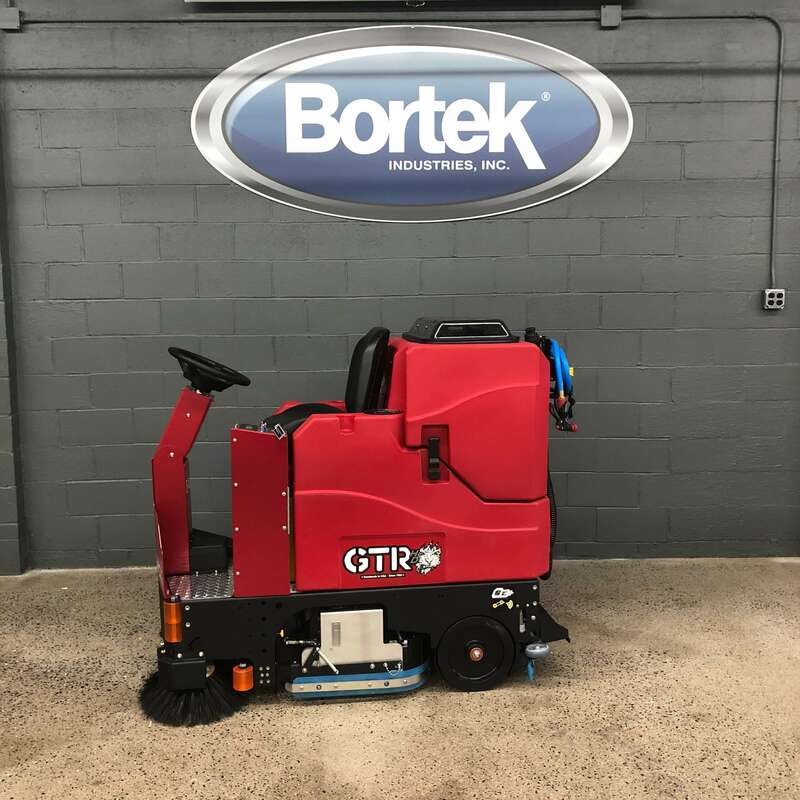 The GTR Scrubbers are available with Disk and Cylindrical scrub heads. 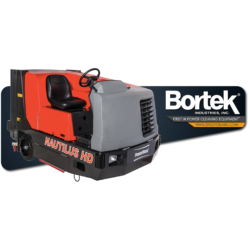 ► Machine Control Panel uses off-the-shelf toggle and marine duty switches featuring universal icons which simplifies training. 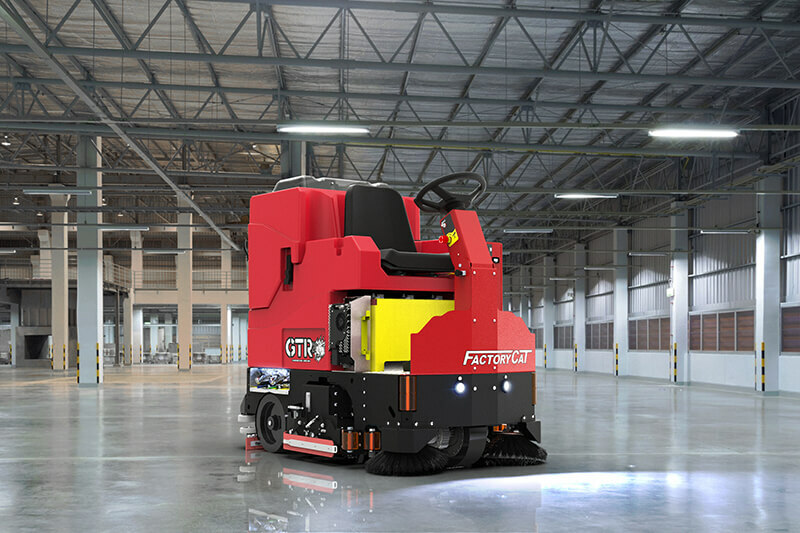 ► Vacuum Muffler allows machine to consistently achieve as low as 70 dBA while thoroughly drying the floor. 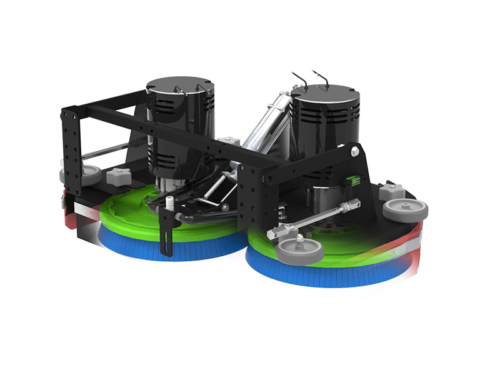 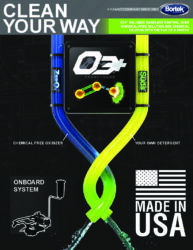 ► Squeegee Adjustments made simple tool-less maintenance of the squeegee blade. 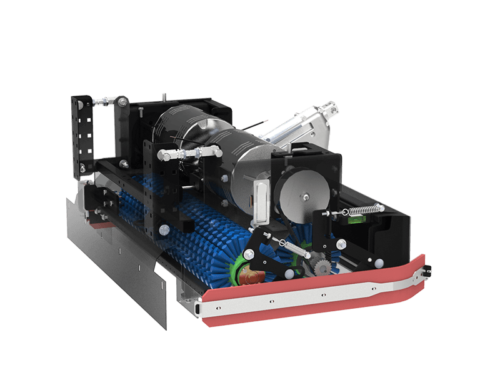 ► Fill System features a retractable hose for easy filling on standard sink-faucets and a stainless screen for bucket filling. 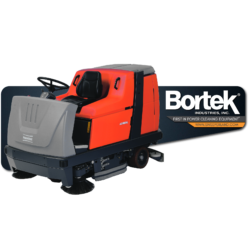 ► Oversized Vacuum Screen Shut-Off quickly arrests overfill issues to protect the Vacuum Motor. 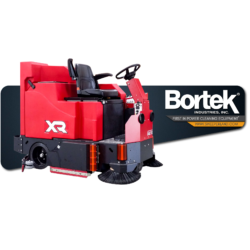 ► High Performance motors and down pressure provides an unmatched standard of cleaning.